We have thousands of furniture couriers on Shiply who compete against each other to win your furniture delivery job. Shiply achieves furniture delivery rates usually up to 75% off standard prices because the site is used as a way for couriers to find work along their existing routes. Say for example a courier is already taking several items from London to Manchester in their van, but after completing those deliveries they have to drive all the way back to London again empty of cargo. In these scenarios, the courier is willing to offer heavily discounted prices to reduce this waste. So, whether you are moving a single item of furniture in the UK or multiple items to Europe or further afield, Shiply can assist. It's simple. You just fill out one short form describing what you need to move and wait for the quotes to be emailed to you. If you have any photos of the furniture, that can be really helpful to send to the removal companies. Requests with photos tend to get 34% cheaper quotes. Once you have filled out the form and submitted your delivery request, you can just sit back, relax and let Shiply take care of the hard work for you. Certainly beats phoning around one company after the next only to get expensive quotes and no idea of quality. Furniture delivery companies will compete and quote on your delivery job in a reverse auction format, which helps drive down the price for you. We recommend allowing 24 hours to get the very best furniture shipping quotes, but it’s not uncommon to get a great price within a few minutes. Most transport providers offer a national furniture delivery service. However, we do also have furniture transport companies who operate on a global scale. In addition to low prices, Shiply operates a feedback system, much like eBay. So after every transaction, customers leave positive, negative or neutral feedback comments. Transport providers on Shiply are incentivised to perform a high standard service in order to achieve positive feedback and future work. This focus on low prices and top-quality service is why millions of people have used Shiply and continue to use it repeatedly. We’re rated 9.0/10 on Trustpilot. So, once you have received several furniture courier prices, we recommend you assess these one by one. Pay attention to the transport providers feedback score and comments left by their previous customers. Send the courier a few questions, including their availability to carry out your furniture shipment. Once you have agreed on dates and you are happy with the profile and feedback score you can click on accept quote to book your chosen transport provider. Now that you have booked your furniture collection and delivery service, the transporter will give you a courtesy call to let you know when they expect to be at the collection point. Ahead of this, we recommend you do the following. Verify Packaging/Protection: Check with your transport provider if they will be supplying blankets, bubble wrap or similar to protect your furniture during transit. If they are not, we would advise you package and protect the furniture as best you can yourself ahead of collection. Check Insurance: Your furniture courier will have goods in transit insurance in the unlikely case your furniture is lost or damaged in transit. We also recommend you check your home insurance policy, as many of these policies do cover furniture when in transit. Evidence: We highly recommend you take photos of your furniture before collection. This documentation can be very helpful in proving damage was incurred during the furniture shipping process. It is not necessary for you to be in all day for collection or delivery of your item. Unlike the behemoths of Royal Mail and Yodel etc, Shiply's furniture delivery services tend to be undertaken by smaller family firms who are more agile in this department. They will normally be able to give you a short time window for when you’d need to be in and give you a courtesy call when they are about to arrive. The furniture delivery companies on Shiply range in specialisation enormously. There really is nothing they cannot handle. 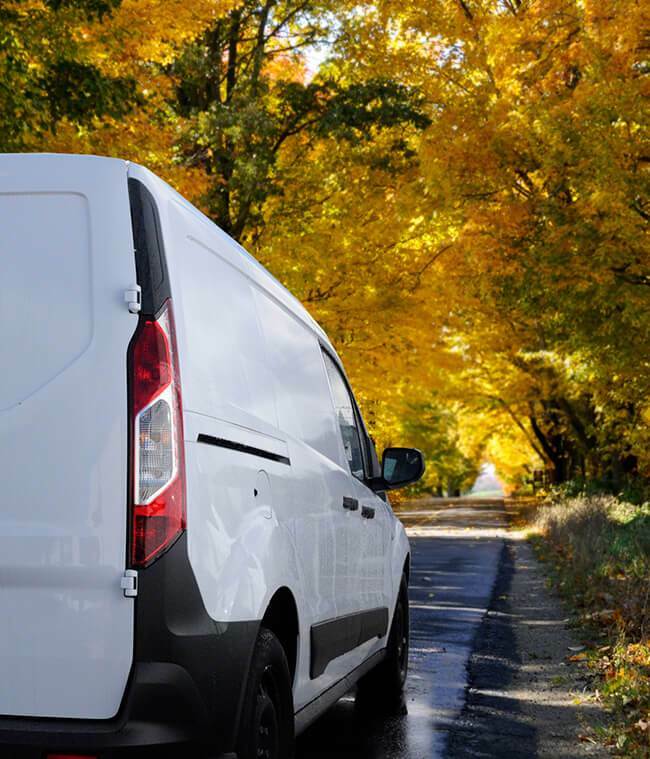 Because there are more than 100,000 transport providers on Shiply they have a huge range of vehicle types, from smaller vans right up to HGV’s and flatbed trucks. So, no matter what you’re moving, you’ll find someone to move your items on Shiply. It is a requirement of every transport provider on Shiply to have adequate goods in transit insurance for the furniture removals they carry out. If you have a particularly valuable item, it is worth double checking with your chosen transport provider directly in case they need to purchase supplemental insurance on your behalf. Once your delivery has been completed, we recommend you check over the condition before signing anything. In the unlikely case that there are signs of new damage, the issue should be raised with your delivery company immediately. Shiply only works because of the community, who leave feedback after their delivery. So, whether your experience was positive or there was room for improvement, please do leave feedback for your transport provider on Shiply.